Everything you pointed out is merely a matter of enforcement. I have owned motor homes on and off for the most part of 30 years. I have camped in campgrounds all over this country and I have never seen that "Cousin Eddie". I have had an occasional generator annoy me but that's about it. I don't know what kind of RV'ers your drawing up there but most of my RV camping has been in California where most of state is full of annoying, obnoxious, self-centered, egomaniacs. But I don't remember seeing not one Cousin Eddie that bothered me in an RV park. However I have had several bad experiences with tent campers. Besides that I don't think anyone would see Bradley Park as a place for 30-40 foot rigs. Bottom line, if someone spits on the sidewalk you don't outlaw sidewalks, you arrest the spitter. I thought some of you may like this historical piece on camping and resorts in the Tomahawk area that dates back to 1926. I'm sure many of you have seen this already but maybe not everyone. There are several old photos of different resorts including: Essex Lodge Charlie's Mistletoe Inn, Dutch Mill Phil's Resort, Al Kahn's Resort, Rice Point Resort and Harry's Road Lake Resort. Here’s one paragraph about camping but this is only a small piece of the brochure. You are going to want to read the whole thing. At the forefront of all the attractions offered by this community is Bradley Park, the finest natural park in the entire northwest. Here stands a monumental specimen of God's greatest handiwork, unmarred by human artificiality. where the tourist and the camper may converse with a bit of old Wisconsin, the wonderland of Nature. Here's a link to the entire brochure that resides on the Tomahawk Pioneer Society web page. You are right Floyd, it is about enforcement. Are the gates to Bradley Park going to be locked after a certain time not allowing campers in after a certain time. I think not. This is how the too big units find a spot. Late travelers on the road looking for a place to stop. I'm not totally anti motor home, 5th wheel, big RVs. I'm just saying why run the risk of them finding their way into Bradley Park. They find their way into spots in state campgrounds in the middle of the night all the time. Spots that aren't meant for the big rigs. Floyd you mention "RV Parks", to me there is a day and night difference between RV Parks and campgrounds. RV Parks are designed and meant for the bigger units. For those that want comfort and don't care that they are right on top of one another. Much like many of the seasonal parks. Places where folks rent a spot for the season have it landscaped and can shake hands with the neighbor out the side window. For socializing, which is fine if that's what you are looking for in relaxation. A campgrounds, such as many of our state parks and forests, is for quiet, semi-private time. I'm not anti-social by any means, we've met some very nice people while camping. I've seen too many big units try to fit in spots that they don't belong, in the process destroy sapling trees and undergrowth. Also disturbing the quiet while in the process. There are always going to be "Cousin Eddie's" in all modes of camping. Yes, we've run into them with tents, far more in RVs. Not just rundown, second hand types. Sorry Floyd. Maybe we see it more because we camp a lot. It's also very disgusting to know that the rather expensive rig has left the secluded campground ahead of you has just opened the hatched and dumped their tanks as they go. Not good when the dump station is only a few extra miles out of the way. There may come the day that we decide to upgrade to something other than a pop-up. I can guarantee when that day comes we won't try to put 10 lbs into a 5 lb. sack or dump it along the road. OK done being crotchity, thanks Floyd for the 'good old days' link. So not to offend the RV owners with my "obnoxious" tag. I'll have you know that we've been called the campground "white trash" with our pop-up! OK by ourselves and "well" meaning friends, but called white trash none the less. What Tomahawk’s parks will and won’t consist of a decade from now will depend greatly on input provided by the public over the coming weeks and months. The city of Tomahawk Parks and Recreation Committee invites interested groups and area residents to participate in four visioning and planning sessions to develop a long-range plan for the city’s park system. The plan will identify development and maintenance needs for the park system over the next five to 10 years. Input may include anything from wanting to see camping allowed at some of the city’s more expansive parks, more baseball diamonds and volleyball courts, to bringing back a toboggan sled trek at Bradley Park. Tolvstad said all ideas are encouraged and will be considered in scripting the plan for the city’s park system. The committee notes it is its intention in hosting the visioning session to assure all park users’ concerns and interests are addressed in long-range planning. The first planning meeting will take place Tuesday, May 12, at City Hall at 5 p.m. After discussion, the meeting will visit some of the city’s 11 parks. A follow-up meeting will take place in June, with remaining parks being toured after the meeting. Art Lersch of the Lincoln County UW-Extension will lead two visioning sessions concerning the park system as part of the overall planning. The first of the two will take place on July 14 with the second on Aug. 11. Both visioning sessions will follow short business meetings. For more information on the process, contact Tolvstad at 453-3654 or email tomahawkdpw@verizon.net. Maybe you need to upgrade your rig. How do you keep the squirrels of that thing anyway?? Here is the opportunity to bring up the idea of the tower in the park that was kicked around on this board a while back. Maybe the city will think it is a good idea and we will see it happen ! 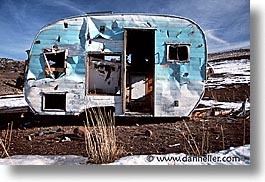 Floyd, when did you take the picture of my house ! ! Is this what is meant by the term "Trailer Trash(ed)" ??? Seems quite suitable to me. Becoming one with nature could happen easily. Deb Richardson wrote: Oh and neup99 seems you must have spent many 'twilight' hours at the park if you think that there is more 'twilight' traffic than daylight or maybe that's the only time you've been there, possibly 'camping'. If backhanded coments are the best you can add to the conversation, I implore you to keep your comments to yourself. I took exception to a comment you made and decided to turn it into attacks against my moral charechter as quoted above. Insults are the lowest form of argument and are apparently your best defense. I hope you aren't this type of person in real life. The membership I was referring to in my previous post is the park memberships to which they belong. I honestly don't see why you would assume I was referring to the people here. I know only a few people who visit this forum and they are not regular posters. You're right, I don't know most of you and it would make little sense for me to make guesses as to your support of any organization. I used this forum to keep up with local issues as I am often away from home, not to troll for fights. Maybe I was wrong to use it that way. I knew RV Parks were popular and crowded but WOW !!!! This would surely solve the 'space' problem for RVs in Bradley Park. Maybe build 'tree fort' platforms for the ambitious tent camper. I love Bradley Park. Spent my 'yout' there. I hope that some good ideas can be put forth at the Tomahawk Parks and Recreation Committee planning meeting Tuesday, May 12. Maybe something as simple as allowing only tent and 'popup' trailer camping for a 2 week maximum. Limited number of and assigned camping spaces. Limited number of vehicles and people per space. Maybe a trial period of say 5 years, keeping the number of spaces available purposely low at first, to see what the impact is. This trial period should be something conservative with a review every year. Adjust accordingly. I'm initially against RVs in the park at this time. Last edited by kmartell on Wed May 06, 2009 7:12 pm, edited 1 time in total. Not sure why you think I need to chill. Just trying to state my perspective in an intelligent manner. If I intended to give the impression that I was yelling, the words would have been in all caps or there would have been some angry smilies with horns strewn through the post. I'm just calling a spade a spade. If you think this is exciting, I can't imagine what you think of political debates. However, it does seem that people will take a statement in the worst possible context if they feel challenged in the conversation. Maybe each post needs to have a mood selection as are available for blogs. Or, maybe an over explanation just comes off as a rant. In any case, I think something has to be done to improve both our local economy and the overall mood of our area. More important than monitary gains are the increased opportunities for people to have an escape from daily problems that is family oriented. Depression is becoming a major issue locally and anything that will help should be considered. Hopefully the addition of in town camping will help in some small part. neup99, you have made me feel defensive by "calling a spade a spade". You've made the personal attacks, not me. Had I said, "Your family owns big obnoxious RVs." That would be a personal attack. I was just stating my opinion on how I feel these types of units could negatively impact if allowed at Bradley Park. You've turned this around, totally getting away from the original topic of the thread. I'm just calling a spade a spade. If you think this is exciting, I can't imagine what you think of political debates. I agree the area needs a boost, but not in the form of camping at Bradley Park. There is a very good reason it was stopped years ago. I think Box Island would be a very good alternative for tent and walk-in only. How much would it be positively utilized is yet to be seen. Now that I've beaten a dead horse, I still think you need to chill, ~big obnoxious smiley face~Adios! OK, I've been sitting quietly on this thread (isn't that rare?). First, as someone who camps at the state parks, and knows Bradley Park I'm going to agree that is a bad location. The park simply isn't that big and adding camping will disrupt the current usage of the park, destabilize the soil, etc. Even if you were going to add it, with the size of the park you would get only a couple of sites in there if you wanted to maintain the serene setting the park currently offers. I would strongly support the idea of the tower at the park though. I think that could be put in close to the structures and parking that currently exist and as long as it is done tastefully would add to the park's allure. Tomahawk needs more camping but I think there are far better locations. I get the impression that some people think it would be good financially for the city to run the campground though. I don't think this is something our local government should be involved in. They are then competing with the few resorts and hotels we have left in the area. However, even I've looked longingly at property I know is for sale with water frontage and considered the idea of putting in a private campground/resort. Kerry, develop a nice campground. When I retire I'll be the campground host. If I don't already have a state or national park spot. Deb Richardson wrote: neup99, you have made me feel defensive by "calling a spade a spade". You've made the personal attacks, not me. Had I said, "Your family owns big obnoxious RVs." That would be a personal attack. I was just stating my opinion on how I feel these types of units could negatively impact if allowed at Bradley Park. You've turned this around, totally getting away from the original topic of the thread. Now I'm pretty sure you're just trying to find something to get worked up about. The phrase I used is from an Oscar Wilde novel. Essentially, it means that I'm stating how I feel even if the topic is of heated debate. In essence, you may very well have been "calling a spade a spade" in your posts as you appear to have been speaking without reservation. Does that mean I should be offended or you? Unless the phrase has been turned into some sort of racially based insult that I'm not aware of, there's no reason to be offended. Kerry, I can see your point about competition with resorts, but I think more people would be able to stay up here that normally wouldn't. Considering the range of prices, I'd say the same in that a sale on Chevy Cobalts will not affect sales of Cadillacs. I think a bigger point of contention is the resorts who only book Saturday to Saturday. I don't believe as many people will be able to take entire weeks off anymore. Hey Ken, I love that high-rise trailer park! Was it designed at Stanford's Architectural school? Maybe we can get mrbrowns to include this in his proposal to the city! I agree with you and would want to see free enterprise brought into the mix if at all possible. Many cities and county government see the need to get into the campground business as a way of filling their obligation to supply parks and recreation to the communities they govern. Some enter in to a partnership with a private operator or a vendor that develops and/or operates the facility on city or county owned property. Like any other partnership some work great and some don't work so good. I would hope that if the City Of Tomahawk decided to get into the campground business, they explore all options, which I am sure they will. Something else you said has sort of tweaked my interest, "competing with the few resorts and hotels we have left in the area". That kind of indicates to me that there has been some negative attrition in the hospitality industry in the Tomahawk area. I am sorry to hear that. But I think the answer to that is to attract more people, not less facilities. I hope the city does not, and I am sure they will not, overlook the potential as large a facility as possibility including enough full-hook ups to attract traveling clubs. We added several full-hook sites to our already self-contained sites at our local Elks club. We attract traveling Elks clubs from all over the state. These people spend a small fortune into our local economy each year. And not just at the lodge. People driving around in a $250,000 motor home have money to spend and most of them are not affected by recessions. And no, I am not suggesting this type of development anywhere near Bradley Park. It would have to be the right location. But the closer in you get the better. I certainly had some catching up to do on this thread after returning this morning from a five day fishing furlough - pardon me if my tone seems overly relaxed as I'm sure the vacation will wear off sometime soon. From comments already made, it seems RV and tent camping should have their own place in proximity to each other. I like the idea of the mainland being used by RVers with Box Island left open to walk-in tent camping only. I would like to see a joint bathroom facility built on the mainland, with showers available at the SARA Park ice arena. The campground should start small and expand as revenue allows - funds from the current 10 primitive campsites at SARA Park go into the city's general fund and not into making improvements like providing electricity at the campsites. I would also like to see Bradley Park remain closed to camping, as someone else previously noted there are likely reasons behind why it was stopped in the first place. IIt would make a great place for campers to visit and have picnics at while staying at the nearby campground. The reason I would like to see Tomahawk create a campground stems from the fact it has 20+ acres of lakefront property that could be used. Like other communities across the state, Tomahawk is facing serious budget restraints under the state imposed 2 percent levy cap. If a revenue stream could be created to offset these shortfalls, then why wouldn't using this available resource be considered? Nothing ventured, nothing gained. I also like the idea of opening up the property to an outside investor. Old Scout, please submit your thoughts. The more comments received from anyone concerning the city's parks will show people are using them. Public response could also determine what amount of funding is made available for preserving and developing city parks in the future. I don't think the Stanford Architectural School can think that far out-of-the-box. My guess is this idea came from a guy with an idle fork lift and a 1/2 acre of vacant land. And you well know that in California...if you can't grow out you just grow up!!! Necessity...the Mother of invention !!! I'm about 75 miles north of the fires. I only have to drive a few miles south in the evening and we can see the glow. We can also see the smoke. One of the refueling stations for the fire fighters flying those tankers is here in Santa Maria. They had just closed it down the same day the fire started. Two planes made runs and drops and they had been told not to return to Santa Maria. It was reopened by emergency decree the very next day. However high winds have been keeping them limited in the number of flights they can make. Just 6 months ago this same area burnt and they lost 200 homes. The off record speculation is that unless they get some help form the weather this will easily surpass that fire. They have already lost a large number of homes. Winds are gusting up to 60 miles and hour, temperatures have reached over 100 degrees in the areas not even near the fire so you can imagine how difficult this battle is. Yesterday the downtown area of Santa Barbara was put on alert for possible evacuation. I don't think the reason we're loosing resorts and campgrounds is necessarily due to too few customers (although in the current economy, I doubt it's helping either). A big part of the problem is the combination of ridiculous taxes and everyone's desire to own a vacation home. It now makes more financial sense to sell the property off as cabins or develop it than run a resort or campground. That's exactly what happened to Bit-o-the-North and the big campground in town. neup99, I'm quite aware of what "calling a spade a spade" means. It may have been used in an Oscar Wilde novel, however he is not responsible for the quote. You should know that in many circles today it is considered derogatory,without racial implication, no matter the origin, no matter the author. "Calling a ball a ball and a strike a strike" is considered far more appropriate. Also I'm quite aware of what I posted no need to re-post. No need for being patronizing. As I said I still feel you need to chill. Adios.